“Jamaica’s debt ratio is on a downward trajectory and, by March 31, is expected to be eight percent points lower than it was at the end of fiscal year 2012-2013”, Finance and Planning Minister, Dr. Peter Phillips said. By the end of March, it is expected to be lowered to about 139 percent of GDP, the finance minister said. Dr. Phillips further stated, “the Government would continue to implement measures to reduce the debt, as it aims to have a balanced budget for the next financial year (2014/15). Part of the way forward is to ensure that we convince the market that we are not about to return to our national addiction of excessive borrowing, and that means running a very tight set of budgetary arrangements”. The government ran a deficit of $55 billion for the fiscal year ended March 2013 but slashed that to $8 billion in their projection for 2013/14 but the final out turn is expected to a be a near balanced fiscal outcome. That is a sharp reduction from what was achieved in 2012/13. Phillips as indicated above is planning for another year of balance as he strives to cut the impact of debt on government’s operation. 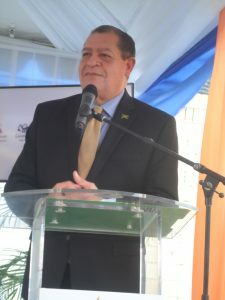 Minister of Finance Audley Shaw carried on from where Phillips left off. The approach is not only positive for government’s operations but has far reaching implications for the wider economy. Lower fiscal deficits mean less borrowing and less government spending. All of these will lead to lower interest rate locally, lower inflation and less pressure on our exchange rate ultimately. The initial stage will be a more sluggish economy as the country moves from and economy driven a lot by government spending to one where the private sector is the driver. Currently, private sector confidence level are not high but are slowly improving based on data form the central bank. With improvement taking place in the global economies, Jamaica is likely to benefit, as such, we may see slow but continuing growth for awhile. Against this back ground, interest rates are likely to be lowered providing government with lower interest cost with the measures now being pursued. Investors could therefore be seeing the end of an era of super high interest rates, to an extent this has been happening, but rates have not yet reached levels enjoyed by some of our neighbouring countries. Investors should not ignore the impact of the logistic hub on demand and on foreign exchange inflows in the construction phase. Falling Interest rates rising stock market. The local stock market is overdue for a strong rally having remained in the doldrums from 2005, to record one of the longest periods when it has remained below a high for so long. There are three things for those interested in the real estate investments to consider. Property values are likely to be pushed by the fall in the value for the Jamaican dollar which will push up input cost, already a number of new units are priced above $20,000 per square foot, with some at $24,000. The number of new units on the market over the last four years have been low, as demand slowed. The advent of the logistic hub is likely to spur demand within the corporate area for more space. Mortgage rates should fall going forward which is likely to exert upward pressure on prices. Investors should be making the shift in their portfolio from now, to be there when the change takes full effect. This article was published by the Investor’s Choice in 2014. Sagicor Real Estate X Fund has been selling significantly above its IPO price of $5 and has since risen by 40 percent to $7, making it one of the better performing stocks on the local stock market since listing. That is great for those who invested at the time of the IPO. Do the fundamentals justify the price? The fund reported earnings or better yet capital appreciation of $271 million or 18 cents per share in the September quarter and $681 million or 46 cents for the nine months to September, representing a 10.7 percent rate of return for the year. This is a very high return for a real estate investment, suggesting that a large portion is capital appreciation and not regular income. Of import is the seasonality of the hotel operations—high income and profits in the period between December and April, July and August, and lousy in the other months, which are usually loss making months. Sagicor Real Estate X Fund had assets of $9 billion at the end of September and net book value of $6.09. The stock price is $7, for a near 20 percent premium, which is well over the market. growing profits at 30 percent per annum. Earnings growth will not be there to drive the stock price compared to many of the quality listed stocks. The stock is now being valued on hype not reality. most are rented on a long term basis. The company has strategically invested in the Sigma Real Estate Portfolio, which holds a mix of hotels, commercial, industrial and warehousing properties. At this time, the only investment for the Fund is the units in the Sigma Real Estate Portfolio. The Fund is 67.7 percent owned by the Sagicor Pooled Pension Investment Funds, which are administered by Sagicor Life Jamaica and is listed on the Jamaica Stock Exchange. Business and consumer confidence levels, hit the roof in the latest surveys conducted between February and March of 2012. But the actions of investors on the local stock market suggest that they do not buy into the surge or the main reasons for the optimism. Based on the data, business confidence levels are at a near all-time high with the change in the latest indices showing an all-time jump of 29 percent reaching 123.70 but still below the all-time high of 134.2 in the 2007 September quarter. Consumer confidence in the review period leaped an astounding 54 percent to reach 160.1, all this after a new political party was installed in power with slim popular majority support at the polls in December last year. high then of 154.9 in the June 2007 quarter, shortly before the general election of that year. There were no surveys done in the December quarter last year. Jeep Boost Confidence Interestingly, a great deal of the boost in confidence hinges on the expectation of a programme that is yet to show any major signs of delivering meaningful fruit, that is the JEEP employment initiative. The only problem is that smart money is not buying it, at least not now. 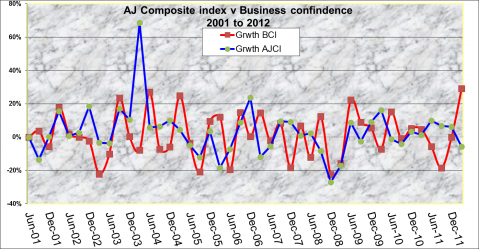 The confidence levels and the stock market tend to move closely together as indicated by the graph, which plots the percentage changes in both the business survey and the All Jamaica stock market index. There are two periods—late 2002 to mid-2004 and again since March last year—when the two deviated widely. The stock market is not buying the increase in confidence. The market, which trades daily, more quickly reflects the major changes in economic development than either the consumer or business surveys that are conducted quarterly. economy in early 2012. Jamaica’s main trading partners still face challenges, although the U.S. economy is expected to continue to improve during 2012. Overall, the data point toward an improving economy with the financial condition of firms strengthening and a cautious expansion of investments”, the survey indicated. outlook for the economy ever recorded, predicated on the new government. are the least reliable of the two surveys. Many persons are scared about investing in stocks but they need not be that afraid even as markets have gone through major changes since 2007. It is not only the stock market that felt the impact. The real estate market that many swear by, suffered declines as well as demand for real estate worldwide fell. The Jamaican stock market has languished at a low level, since 2008 when it fell to 60,952.64 on April 28, 2009 from an all-time high of 138,917.59 points on January 24, 2005. Since then, the market regained a fair amount of what it lost by moving to 118,353 points on February 2008 but fell sharply in the second half as a result of the year, in response to the world economic crisis and Jamaica’s response to it. The market has moved up from the low, but has struggled ever since as Jamaica underwent changes in government, several major economic policy shifts and long periods of uncertainty. Knowledge matters|Like anything else, having knowledge will be a big help. For starters new investors can take simple steps. Follow some simple rules. Never get emotional about an investment. Don’t follow hypes and fads. Keep it simple. The best way is to start the investing small amounts that one can allow to stay invested for a long time if needed. Invest in good quality companies with long term prospects, with time and more knowledge, the time frame can be shortened if the investor is comfortable. Profit drives stock prices| A good place to start, is the financial statement of listed companies. 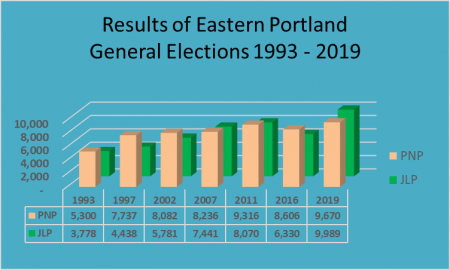 Most carry a ten year table of historical results. The simple approach is find companies that have regular increases in profits over time. Keep this most important investment adage in mind at all times, increased profit is the major driver of stock prices. If profits keep on rising stocks prices will eventually respond. Quarterly profit performance is also important. If an investors can find a good investors who knows the market, then they can get advice from them but having more than one opinion is always useful. Keep a journal, indicating what advice is received and by whom and why you are investing or not. That will help you to know who ca be relied on as well as let you understand what causes stock prices to move. All in all to become successful at investing practice becomes perfect. The best times to sell stocks, is generally, in late April to mid-May and the best times to start buying is during the summer months. 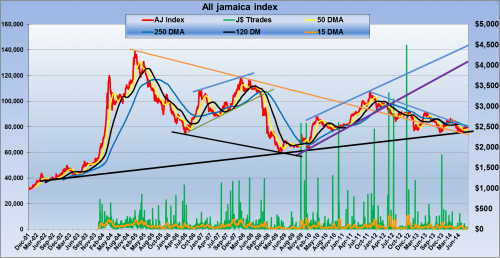 The Jamaican stock market bottoms and starts to move upwards in more summers than at any other time in its history and this goes back to the start of the creation of the market index, back in the early 1970s. The above two periods have been very visible when the market movements are analyzed from the start of the local stock market. No wonder the simple adage, “sell in May and go away” has been bandied around as what appears a casual investment comment, there is more than just talk as the facts support it. History suggests that it really should read, sell in May rest awhile but start your buying in July. For 2014 prices on the Jamaica stock market declined a bit from its earlier 2014 high, with several stocks hitting 52 weeks’ lows into the early summer months. The decline was taking place against the back ground of an increase in interest rates and slippage in the value of the Jamaican dollar, encouraging some investors to exist the local stock market for US dollar based investments. At a glance to the casual observer it may appear that this is a negative trend that would take the market much lower, it did not do happen. The history of the market as well as technical assessment of it suggest, otherwise. The local bear market has gone on for as long as any other and much more than what has been a 4-6 cycle of decline before a bull market sets in. When markets go through long periods of hibernation, investors lose interest, as they don’t see the market turning anytime soon, but that usually is the genesis of a new bull run. Demand declines but so is supply. If companies report improving results then the smart investors quietly picks up stocks cheaply waiting for the inevitable up turn. Growing up in the country exposed me to home grown coffee, not sure at what age I started drinking the beverage but I recalled that coffee was on the menu for coffee break twice a day when I joined KPMG years ago. There is much to know about the brew. Then it was instant coffee that one was served. I recall buying some blue mountain instant coffee in the 1970s which tasted far superior to the regular instant. That was discontinued. 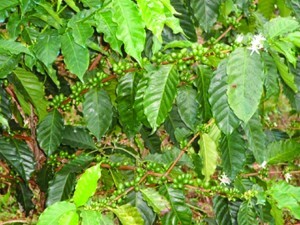 My real first recollection with Blue Mountain coffee was when I visited a client one day in St James and drank coffee. I still recall the special taste. In the 1980s I got turned off instant coffee for good when I had a batch that tasted like chocolate. I switched to Blue Mountain with its far superior taste and I learnt a lot more about coffee over the years. One of the first things I found out is that I no longer get headaches if I skip the drink. I also learnt that drinking water after having coffee at night reduces the effect that the coffee has on sleep. All brands not equal| I think I have over time developed a taste to identify the subtle taste of different brands as well as flaws in the product where these exits, Some of the coffee has a fruity taste, some have a taste that suggest that the fruit was not mature when reaped. I also discovered that not all blue mountain coffee taste alike. I tried a number of brands and have pretty much stuck with one although there is another that’s just as good and sometimes better tasting. The most popular Blue Mountain coffee is probably the least tasty. One of the most telling findings for me is that the amount of ground beans that is used vary from brand to brand and may vary depending on the time the berries were reaped as well as how they are roasted. I have also found that some coffee out of Columbia taste pretty close to our Blue Mountain coffee. Preparation affects taste| Ground coffee may be more convenient to purchase. The problem is, it tends not to give a rich a brew as freshly ground beans. Worse, the factory ground coffee tends to utilise about 25 percent more to make a cup than the home grounded coffee. Why? That is a question I asked someone in the industry. Apparently, coffee ground for sale is done by industrial machines that produce a coarser grounded product than grinders for home use. The result is, less of the ingredients flow into the brew than is possible with finer grounded coffee. Blue Mountain Coffee taste is distorted with too much condensed milk that is popularly used in Jamaica for cream and sweetener. A very limited amount of the condense milk can work without distorting the coffee taste too much. Sweetening with it is a no, no if one is to really enjoy and really get the wonderful taste od a cup of Blue mountain coffee the ways it should. Coffee’s appeal and taste comes from the ability to smell it. This is why it is so important that the beans or grounded coffee must be kept in properly sealed containers and once opened to be kept in a fridge properly sealed, to maintain the quality. Many think coffee is bad for us. Research has unearth many benefits of coffee. Instant boost| The main benefit of coffee is its stimulating effect. 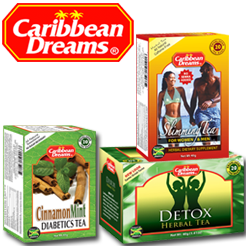 Caffeine helps concentration for sustained periods and delays feelings of tiredness. The caffeine in it encourages your body to use up energy reserves and it has good effect on the digestive system as it increases saliva and digestive enzymes. Caffeine tightens blood vessels in the brain, which reduces the intensity and the duration of migraines. A natural high| It makes the mind more alert and quickens your heartbeat, as well as mobilising fat reserves as a principle source of energy during exercise. This allows the body to economise on glycogen reserves in muscles and stops you getting tired. Antioxidant action| Coffee and tea contains the highest number antioxidants which play a protective role against cellular ageing and mutations. Many studies show that coffee drinkers are less likely to develop Parkinson disease than others. The protective effect is estimated at 30% for people who drink at least two coffees a day. Recent experiments have produced evidence of a neuroprotective mechanism in caffeine. A study carried out on more than 7,800 American nurses revealed that women who drank four cups of coffee or more a day were 25% less likely to get gallstones. Other studies showed risk lowered by 45% in men. So now you can change the way you look at coffee and enjoy a grew to the fullest. KLE Group — to buy or not? KLE Group’s entertainment hot spots may be great places to let one’s hair down after a long day but are the shares, placed on the market late last year, good for one’s pocket and peace of mind? That was the challenge many investors faced when the company placed 27 million shares on the market, which was snapped up with great speed. But judging from the small 13 percent level of oversubscription and 198 applicants, seasoned investors had a different picture from that of the promoters and the principal owners. In 2008, seven young Jamaican entrepreneurs are said to have had a world-class vision to create a unique blend in the local entertainment market-place, thus was born the hybrid lounge/club — Fiction — a new addition to Kingston’s night-life with its über chic design, lavish, intimate VIP booths, premium audio visual equipment and first-rate bar experience. To rave reviews and patronage from locals and some of the world’s top celebrities, the club imprinted the Fiction Lounge brand on the entertainment industry. The early success attracted one of the world’s most marketable and fastest athlete, Usain Bolt and the Usain Bolt’s Tracks and Records restaurant with its perfect blend of what is termed a “4 dimensional experience of touch, taste, sight and sound” brought together in the same location as the Fiction Lounge. Expansion | Having raised the desired capital, the KLE Group is to expand into other related ventures including a theme park and villa community on the north coast. The ventures include the following collaborative projects highlighted in the IPO. “The Secret Room”, said by the promoters to be the first of its kind gaming lounge will be operated in conjunction with Supreme Ventures Ltd., and strategically positioned between Fiction Lounge and Usain Bolt’s Tracks and Records restaurant. Night life in the second city, Portmore, will be catapulted into a new experience with a coliseum style nightclub to be named FAMOUS. KLE said that the more than 6,000 sq. ft. setting will be decked out with LED screens, projection walls and “unparalleled décor, sound and lighting” that will create an unforgettable nightclub vibe. KLE Group plans to add BESSA, a lifestyle themed villa community to be built in Oracabessa in partnership with Sagicor Life Jamaica. The 8 acre ocean and river front property will be the site of 45 lavish living spaces with 1 bedroom swim-up suites, condos and 4 bedroom villas. The expansion plans sound impressive but these are yet to come on stream even as the risk associated with them seems higher than for many other ventures in the country and certainly, the businesses operated by the majority of listed companies. Priced for future | The numbers in the prospectus did not read impressively and nowhere therein could one find information to justify the $3.70 offer price with a PE ratio around 17. The best that could be gleaned was a price below $2 each which would have been more reasonable. It was fully priced to sales, which came in at approximately one time sales. That may not have appeared bad and was around the trading point for most of the junior market stocks. However, the price to net book value was 18 times, representing a huge premium over all other junior listed stocks. Cargo Handlers was the highest priced in terms of net assets at 6 times, based on the 2011 audited results. DCF (discounted cash flow) methodology was used in computation. 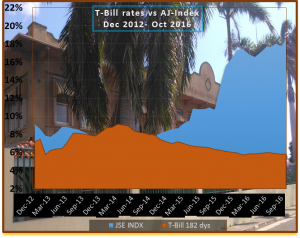 A discount rate of 23% – 26% was applied with terminal multiple of 4.5 – 5.0. This methodology was chosen based on KLE’s immediate prospects as outlined by the group. KLE is a true start-up and as such forward looking. Based on conservative estimates, we see KLE having earnings of between $50 million and $60 million next year. Any potential earning was excluded from Usain Bolt’s Tracks & Records’ expansion and franchising. Given the above, post IPO P/BV of 2.9x and forward PE of 6x-7x. The main issue with this valuation is that the stock market has not priced in 2013 earnings for the vast majority of stocks. So why should that be done for what many see as a very a risky investment in KLE? But even if the company hits the profit target, at the upper end, based on present valuation of stocks, one would be looking at a price around $5 for a gain of a third, several months down the road. Interestingly, subsequent to this issue, there were two others. One, Paramount Trading came out in December at a PE of 3 times earnings before tax, with the price of the stock moving up in value, and before that, Consolidated Bakery (Purity) came out with what then appears to be a PE of 8, more or less in line with the Junior market valuation but has hardly moved up on price, having been barely oversubscribed. One off cost | One possible hidden factor that could help is the administrative costs for 2011, which has some one off expenses that should not recur and therefore, stands to boost the bottom line, all things being equal. In addition to income and expenses attributable to the restaurant and Fiction Lounge, there were other corporate expenses not directly related to either. These included professional fees, categorized as enterprise management expenses paid to Neustone (provider of managerial and administrative services) in exchange for business development in relation to new and existing business opportunities for the company as well as other services. If one thinks that Usain Bolt’s name was worth a fortune then his association with the brand may have compelled one to invest. After all, he had indicated his interest in stepping up his investment in the venture. Time will tell if his athletic prowess will be reflected in his financial skill. Another issue in the short run is that, so far, there is no evidence that the restaurant’s success to date has been significantly impacted by the worldwide name recognition of the world class athlete. Will it positively impact the fortunes of the company in the future? Only time will tell. 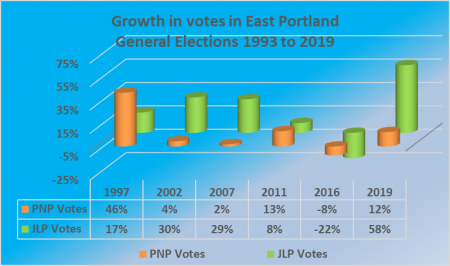 2012 Results | Subsequent to the above, KLE recently released full 2012 results with and reported a loss of J$13 million versus $7.7 million in 2011. In 2012 depreciation charge swelled to $20 million compared to $4.7 million in the previous year, while a $15 million reorganization cost was picked up in 2011. The stock which was issued to the market at $3.70 each last traded at $3.50 on April 4 but the offer is down to $3.20 with no bids as of April 24. After more than a year of being slapped with a huge and what many say is an unjust tax bill last year, Cigarette Company of Jamaica (CCJ) a subsidiary of Carreras Group Ltd only recently learnt what was the basis of the charge. This they discovered only towards the end of the tax appeal hearing held in August. 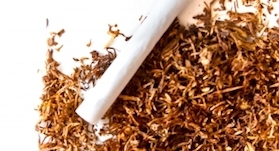 The charge is based on some $8.5 billion paid to the parent company by Cigarette Company of Jamaica, which the tax Authorities claim is subject to tax as a distribution. But the tax body is not relying on the section dealing with distribution to tag the company and instead leaned on section 16 subsection 1 that deals with artificial transactions as the foundation of their claim. The information on the tax assessment was disclosed by the company last year and is reflected in a note to the audited financial statements but the Investor’s choice is informed that Carreras was sent the shocker in April last year. 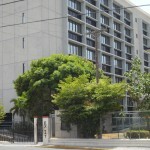 The note in the financial statements reported that “Cigarette Company of Jamaica Limited, has received income tax assessments in respect of the years 1997 to 2002 from the Commissioner, Taxpayer Audit & Assessment totalling $5,716 million, being income tax of $2,172 million and penalties of $3,544 million. assessments, which should therefore be discharged. The Directors are unanimously of the same view. No provision for this amount has been made in the financial statements. Initial reaction|The initial reaction of the public to the assessment is that the amount on which the tax is based was being treated as a distribution under section 35 of the income tax act. A check on that section suggests that it is unlikely for the company to be caught under this section. In fact a reliable source told the Investor’s Choice that this is not the section that the tax authorities are relying on for the case and in fact they never contemplated using this section. This was further confirmed by another source as well, who indicated that section 16(1) is the applicable section used. Under section 35 see an extract of the section the loan is repaid within five years of the date of advance will not have to pay any taxes under the section if in fact they were taxable. Cigarette Company of Jamaica could only be taxable under the section if Carreras Group the recipient of the funds were a foreign based company and did not get any permission from the Minister of Finance to made the advances. This is a view agreed to by a noted tax practitioner. But this is clearly not the case. Earlier this year the group put into liquidation all none operating subsidiaries including Cigarette Company which ceased to operate in December last year. This publication understands that the scheme to reorganise the group was determined by the overseas parent from very early in 2003 and the tax authorities were advised that the loans would be repaid, as they would be liquidating the company. Communication between the company and the tax authorities we understand confirms this and the authorities indicated thereafter the amount of transfer tax to be applied in the liquidation at the same time they advised them of the additional income tax assessment. Inter-group advances cleared|All amounts advanced to the Group Company was cleared by the end of March by a combination of cash payment and a capital distribution of $4.67 billion that was made to the parent company net of transfer tax. The move helped to wipe out $9.7 billion shown as due to subsidiary, at the end of the previous year. At the end of the 2002 fiscal year, the amount owing to subsidiaries amounted to $8.5 billion and climbed further in 2003. The effect is that there is every reason to feel that an additional amount will be taxed based on the additional $1.2 billion advanced up 2003. Under section 35 the worse case scenario if that were the section under which the assessment is applied would remove $4.7 billion from being subject to taxation, the amount advanced to Carreras between 1998 and 2002. It is not clear how the capital distribution on which transfer tax was paid will be treated by the tax body if their claim succeeds. Section 16 indicates that where the Tax Commissioner is of the opinion that any transaction which reduces or would reduce the amount of tax payable by any person is artificial or fictitious, or that full effect has not in fact been given to any disposition, the commissioner may disregard any such transaction or disposition, and the persons concerned shall be assessable accordingly. The problem for the tax authorities if they were to succeed at the tax appeal stage is for them to prove a loss of tax revenues, further they are likely need to prove why it is that they allowed the company which is said to have advised the government from 1977 of the arrangement between the group companies to ensure compliance with foreign exchange controls that they never considered the advances then distributions. 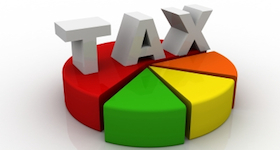 Tax neutral|The funds transferred to the parent company does not affect the net tax position of the group as income earned on the funds by Carreras Group Ltd is taxed at standard tax rate putting the government in no worse a position than if the funds were in the hands of the subsidiaries. It is difficult to see the Government getting away with the taxing of CCJ for the funds advanced and not allowing Carreras Group Ltd to benefit from the an imputed expense. The other factor is that our understanding is that the Carreras Group never charged royalties and only recently, management fees which it could have charged to CCJ well within the norms of business practise. The problem seems more complicated thought. If the Commissioner is claiming that Carreras transfer the funds to allow the parent company to earn income in its own right without adequately compensating CCJ thus allowing them to pay dividends to shareholders without further tax deductions, the group will need to prove that the government is not short changed with what was done, otherwise it appears difficult that the commissioner will be convinced that the move was not one of tax avoidance. The courts may well take another view entirely. But Carreras during the period of assessment made payment of dividends that were taxed in the main at the official tax rate hence the amount of taxes lost by the government from the group is at worse be minimized and at best left the government in no worse position than they currently are in. In fact this publication understands that the tax position for the group was essentially tax neutral. Carreras Group’s executives indicated that they were unsure what exactly it is that they are being taxed for? Both the company and the tax authorities agreed that this was the case but that it now clear with the Tax Appeal hearing now completed. Reports are that the tax collection agency is very confident that they have an excellent case against the group, but it is also the view of the body that they see the reorganisation of the group this year as an attempt to avoid the liability. If so this appears less than fair not only from the stand point that group apparently took the decision before the assessment, but importantly that the Group has very good reasons to proceed to flatten the organisation. 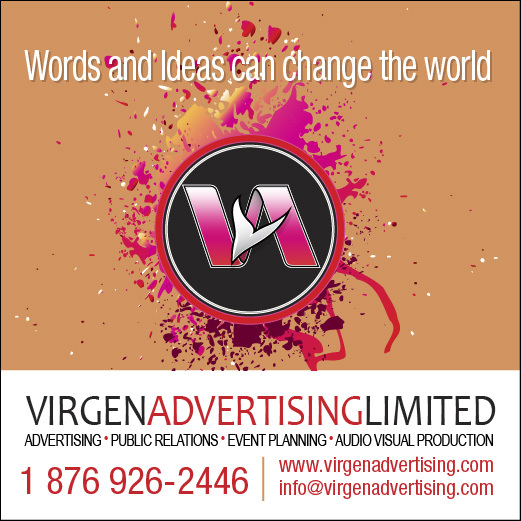 For one, the group now only operates a hotel and the cigarette production unlike previous years when they also owned and operated the Biscuit Company of Jamaica, Graphic Arts, Agricultural Products of Jamaica. The group faced a major problem with the inability to get to the profits of CCJ without paying additional taxes on any distribution that the company may have paid. With a bulging pocket filled with cash and needing no more as the operations continually threw off annual surplus cash, the Group company was constrained in how much it could pay to shareholders. 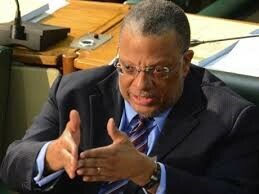 In such a scenario, CCJ was a costly appendage to keep and worse a big irritant. The company took the logical approach to liquidate the unneeded subsidiaries cutting cost in the process and simply the operations as the group now operates out of one office at the factory site in Spanish Town except for San Souci which is located in Ocho Rios. The situation has only become relevant since government started to reduce the tax on dividends paid by listed companies. Before that dividends paid would be subject to tax but recoverable by the recipient or treated as prepaid taxes. What now seems clear is that the tax is based on the distribution and not the interest that the funds could have earned. The problem for the tax authorities is that section 35 covers distributions relating to loans made to a corporation and not section 16. But one pleading is that Carreras low dividend payment amounted to a scheme to avoid tax. But that seems to hold no water, as the group is one of the highest dividend payers of all the stock exchange listed companies with only BNS and Cable & Wireless consistently paying out more profits than they. The tax staffers have virtually been gagged and making little or no comments on the matter. The Investor’s Choice gleaned that if they succeed in winning the matter then Carreras Group would face an additional charge for 2003. Quite likely 2004 could well suffer the same fate. By liquidating CCJ the group has limited the liability as the subsidiary now has just about $5 billion in assets to play with and any interest that may be accrued thereon. Wide Implications| Corporate Jamaica needs to take a very close look at this one as it has wide ranging implications for a wide cross section of companies operating in the country. It has always been accepted that companies within a group can lend to each other without interest being charged. More importantly, it is the accepted practise worldwide that the parent of Group is the one with the responsibility for treasury functions without worrying about taxes being applied to the amounts advanced. But this case is turning all of this on its head. But it appears that it is not just the matter of a loan to the parent that was at stake at Carreras but the amount of funds involved that attracted the authorities. The issue places the country in a bad light as it sends a message to the world that the country is not principled. And yet it goes well beyond this. If carried to its fullest, a lot of companies could find that they are slapped with taxes and may well face bankruptcy. Far worse than all of this, is that investors could take their assets over seas where it is not only welcomed but the rules are clear and applied consistently. The Tax Appeal commissioner heard the presentation of both parties and is expected to hands down his decision by October or early November. The position as we understand it is that CCJ can appeal the decision but this is apparently not the case of the tax commissioner. 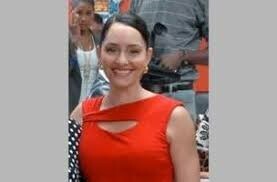 The entire matter has made a number of persons uneasy, including the auditors. Efforts are being made to get the Minister of Finance to actively intervene in the matter. The minister can intervene under the Income Tax Act the Investor’s Choice was reliably informed. Not all in the tax practise field thrilled with the move to get the Minister involved but it is unclear that he will. In fact the Minister was informally told that the tax assessment was a bad move shortly after the assessment was raised but it appears that nothing have happened. It is unclear if the Minister could possibly intervene at this late stage with the appeal process in place as it would set a bad precedent. The group’s reorganisation and the capital distribution made to the local parent, places the group in a position to make a major dividend payment, however, the tax assessment is likely to delay any major move in this direction until after the matter is cleared up. Investors hit with the news seems to have factored in the worse outcome for the company and marked the stock down with a spate of sell off. While the stock made headway earlier this year in the big market move up to April the stock has since fallen sharply on the back of lower than expected profits caused in some part by increased cost and additional tax flowing from the proposed distribution of revenue reserves of Cigarette Company. At the present price the stock offers double-digit dividend returns.